With the popularity of margarita all over the United States, or rather all over the globe, it is not surprising that it now comes in many flavors aside from the traditional lemon or lime. 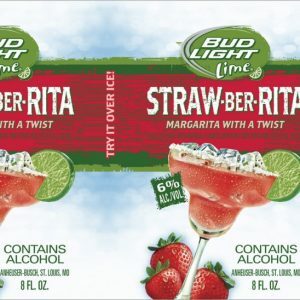 And with the success of Bud Light Lime-A-Rita, Anheuser-Busch just made things more fun for beer drinkers by releasing the Bud Light Straw-Ber-Rita. Strawberry margarita is one of the popular variations of the traditional margarita because strawberry is another refreshing fruit that works well with almost anything. So, with the touch of this red goodness, you can enjoy a refreshing drink all throughout the year. Below are the latest Bud Light Straw-Ber-Rita prices. 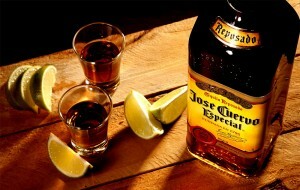 What’s even better is that you do not have to prepare the ingredients and equipment to have some drinks. You can have the strawberry goodness in a can in the form of Straw-Ber-Rita. This drink from Bud Light is a beer and margarita in one with a twist. It is like drinking a Bud Light Lime with a strawberry margarita taste. An 8 ounce can contains 198 calories and 23.6 carbohydrates, while the alcohol volume content is at 8%. As mentioned, Straw-Ber-Rita spawned from the Bud Light Lime-A-Rita, which was released in 2012. Since then, the sales of the Bud Light Ritas have gone up, with the Straw-Ber-Rita even considered as one of the most popular products in the beer industry back in the year 2013. Interestingly, Bud Light Straw-Ber-Rita, as well as the other Ritas, do not contain tequila even though it is the main alcohol content in a margarita cocktail. That is because it is a beer cocktail, which aims to target women drinkers. Adding flavor to beer adds up to its appeal because looking at the statistics, only about 30% are female among the drinkers of Bud Light. But, for flavored beers or Ritas, the females make up about 65% of the drinkers. As indicated on the packaging, Bud Light Straw-Ber-Rita, as well as the other flavor variants, are best served on ice. However, it is not the only way to enjoy these flavored drinks. You can mix up your own refreshing concoctions based on your favorite flavors, but just to give you an idea, here are some of the mixed drinks that you can try. First, muddle the two kiwi slices in a glass with a dash of club soda. Once done, add one cup of ice and pour Straw-Ber-Rita until the glass is almost full. Stir well and serve with a kiwi slice for garnish. Using a blender, combine all the ingredients, including the ice and blend. Once done, pour the contents into a hurricane glass or a tall glass. Garnish with orange wheels before serving. In a glass, mix the coconut cream and pineapple juice. Fill the glass with ice and then fill it up with the goodness of Straw-Ber-Rita. This one is great for parties and get togethers because it is a combination of three different Lime-A-Rita flavors. Combined with the other ingredients, this punch will definitely give an added buzz. Combine all ingredients in a hurricane glass or a tall glass and add a splash of lime juice. Stir well and add ice until the glass is full. Use the lime wedge for garnishing and top it off with a maraschino cherry. The ingredients are for a single serve drink. If you want to make a punch bowl or a pitcher, just multiply the ingredients, depending on how much the container can accommodate or how many people will be served. What are Other Uses of Alcoholic Drinks?